The Consumer Complaints Council (CCC) of the Advertising Standards Council of India (ASCI) has banned as many as 54 advertisements out of 84 complaints it received across segments during June 2015. The banned ads are from prominent companies like Hindustan Unilever Ltd (Dove Elixir), Godrej Consumer Products Ltd (Godrej No.1 Soap), Marico Ltd (Saffola Total), Bharti Airtel Ltd for broadband and 4G, Flipkart Internet Pvt Ltd (Tek-Tron Velroc Safety Outdoor Shoes), CouponsCenter (Makemytrip trippy Tuesdays Offer), Bennett Coleman & Co Ltd (Alive App), HT Media Ltd. (Shine.com), Bloomberg TV India, K Raheja Corp (Shoppers Stop), HDFC Bank Ltd (Two Wheeler Loan Offer), and Max Bupa Health Insurance Company Limited (Max Bupa Health) among others, they range from FMCGs to autos, personal accessories to alcohol, and education to media. 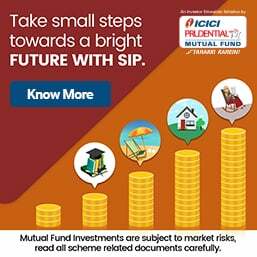 “...Out of 54 advertisements against which complaints were upheld, 13 belonged to the Personal and Healthcare category, followed by seven advertisements in the Education category, seven in telecommunication and broadband category, six in Ecommerce category and 15 advertisements from other categories,” ASCI said in a release. The CCC found the following claims in health and personal care product or service advertisements of 12 advertisers to be either misleading or false or not adequately / scientifically substantiated and hence violating ASCI’s Code. Some of the health care products or services advertisements also contravened provisions of the Drug & Magic Remedies Act and Chapter 1.1 and III.4 of the ASCI Code. Complaints against the following advertisements were UPHELD. Hindustan Unilever Ltd (Dove Elixir): The advertisement’s claim, “Coconut oil penetrates only through 1 layer in 30 minutes via visual representation” was found to be false and misleading. The depiction of movement of Dove oil through filter paper cited in the advertisement as “Creative visualization” was considered to be misleading and misrepresenting the actual process of diffusion by which oil penetrates hair. Also, the claim that states Dove Elixir is better than ordinary hair oils. (Disclaimer ^coconut hair oil) unfairly denigrated the category of “coconut oil” and is likely to mislead consumers. Godrej Consumer Products Ltd (Godrej No.1 Soap): The claim in the advertisement, “India’s No. 1 Purest Soap”, was not substantiated with comparative data of "purity" of this product versus other products. Also, the claim, by implication, denigrated other soaps in the same brand category. Ayurwin Pharmaceutical Pvt Ltd (Nutrislim): The scene in the advertisement where it shows the “Husband refusing to take his wife to party because she is fat” is derogatory to women, more particularly to those with weight issues as it results in social conditioning of opinion against them. Ayusya Herbal Clinic: The claim in the advertisement, “Over Three Lakh Satisfied Patients”, was not substantiated. Ratna Siddha Hospital (Treatment for Autism): The advertisement’s claim “Discovered medicine for Autism” was not substantiated with clinical evidence and was misleading by gross exaggeration of claiming cure of autism. Hindustan Unilever Ltd (Lux Scented Gold offer): The claim in the advertisement, “Pehli baar scented gold jewellery chupi hai hasaro lux mein”, was considered misleading. Further the claim, “jeetiye anokha khushbu bhara sona” implies that one will definitely avail the gold offer on the purchase of the product, which is misleading. Also, the advertiser has not stated clearly all material conditions so as to enable the consumer to obtain a true and fair view of their prospects in such an offer. Marico Ltd (Saffola Total): The advertisement’s claim, “Saffola Total has 2X anti-oxidant power than olive oil”, was considered to be misleading by ambiguity and implication as Saffola Total shows positive influence on inflammatory biomarkers indicating that it can contribute to protection of cells from oxidative damage, however, it cannot be considered as a “2X” physiological end benefit to consumer. Also, the claim in the advertisement, "Saffola Total gives better protection than olive oil” (Olive oil se behtar hifajat), the Advertiser has conducted human intervention study and demonstrated that Saffola Total has been found to have better efficacy in managing five lipid parameters and three inflammation biomarkers. However, a generalized claim of "Saffola Total providing better protection than Olive oil" is misleading by ambiguity. This is because Olive oil is also known to have health benefits due to presence of anti-oxidant (Vitamin E). ASCI’s CCC also opined that to say that one oil is better than another based on one selected study would be technically incorrect as no single oil can be considered as the best. Each oil has its own profile of chemical constituents that may/may not have diverse health beneficial properties. Health experts also recommend that consumers should keep changing the oil used in their diet to avail of different health benefits each oil offers. Based on the above, the CCC concluded that in the context of the advertisement, the TVC by stating “Isiliye olive oil nahin” unfairly denigrates another product (olive oil). SA Safiullah & Co (Nizam Pakku): The visuals in the advertisement which show children/young teenagers eating pakku (areca nuts) show an unsafe practice, which is likely to encourage minors to emulate such an act which could cause harm to them. Also, the advertisement was misleading by omission of a cautionary message/warning. Priis Trading Company – Priis BSY Noni Black (Hair Magic Fruit Shampoo): The claims in the advertisement state that BSY Noni Black Hair Magic “blackens hair within 10 minutes of use” and “it is a natural dye”, were not substantiated and are misleading. NRD Enterprises (No Fat Capsules): The claims in the advertisement, “No Negative Side Effects” and “100% Safe & Herbal Ingredients”, were not substantiated with clinical evidence. Also, the visuals in the advertisement were found to be misleading. Aradhana Maternity and Kidney Hospital: The claim in the advertisement, “First and only qualified Nephrologist of MP”, was not substantiated. Tapan Agro Industries Pvt Ltd (New Preet Lite): The TVC depicting Desi Ghee being crossed off, with a reference of “Ab ghee nahi…” was found misleading and the product pack unfairly denigrates desi ghee. The CCC found that claims in the advertisements by seven advertisers were not substantiated and, thus, violated ASCI Guidelines for Advertising of Educational Institutions. Hence complaints against these advertisements were UPHELD. CL Educate Ltd (CAT Coaching): The claim in the advertisement, “5911 IIM Calls by 973 CL students from Delhi/NCR in CAT 2014”, was not substantiated. Shri Maharana Pratap Private ITI: The claims in the advertisement, “100% Government Job provided if they do courses from Shri Maharana Paratap ITI” and “Number of jobs in govt. sector 15000 and private sector 5,00,000”, were not substantiated. Also, the advertisement was designed to look like editorial matter, which was found to be misleading. Sea Academy- The claim in the Advertisement, “100% Pass Guarantee Coaching”, was not substantiated. Aakash Educational Services Pvt Ltd (Aakash Institute): The advertiser claiming that Twins, Rahul Bansal and Sahil Bansal (AIIMS-2015 ranks 23 and 40) were from their coaching institutes was not substantiated with authentic evidence. Institute of Advance Network Technology: The claims mentioned in the advertisement and cited in the complaint, “only institute in India which offers to students five international, nine participation and one IANT totalling 15 certificates”, “A student may get only one IANT Certificate or depending on the courses he chooses, participating companies be offering their certificates”, “100% job guarantee”, “its IT Job Portal is the only one available in India”, “Once they complete the course, they can earn annually from Rs.78000/- to Rs. 4,60,000/- as salary”, “No.1 Hardware Networking and Software training institute”, “No.1 Infrastructure” and “No.1 Quality Education”, were not substantiated. CL Educate Ltd (All India Mock IBPS PO Preliminary examination): The claims in the advertisement, “Compete with aspirants from 200 cities” and “Over 1.2 million students trust CL with their exam preparation every year”, were not substantiated. AIM Study Centre: The claim in the Advertisement, “100% Job Guarantee or else money back”, was not substantiated. Bharti Airtel Ltd (Airtel broadband Services): The claim in the advertisement, “We at Airtel are giving away exciting surprises to all our broadband users”, was misleading by omission of a disclaimer qualifying the conditions under which the claim is tenable for the offer. Bharti Airtel Ltd (Airtel 4G): The claim offer of, “Get the same data benefits as your 3G pack and enjoy superfast 4G speeds at no extra cost "FREE 4G UPGRADE"”, was found misleading by omission of a disclaimer qualifying that the benefits offered under retail plans are not available to users under corporate plans. Bharti Airtel Ltd (Airtel-4G – My Plan Infinity): The advertisement’s claim, “Unlimited Calls, Unlimited Movies, Unlimited Music and Loads of data”, was false and misleading. Also, the disclaimer in the TVC was not clearly legible. Bharti Airtel Ltd (Airtel-4G): The advertiser argues that the super in the TVC is 12 pixel; however, this is the “minimum” size limit as per ASCI guidelines. No agency certification has been provided to confirm the pixel size. The TVC disclaimer was thus not clearly legible. Bharti Airtel Ltd (MyPlan infinity with Airtel-4G): The website mentions MyPlan infinity with Airtel-4G plan has many terms and conditions and the calls are capped at 5000 minutes per month. Therefore the choice of the term “unlimited” was incorrect. The claim, “Unlimited Calling, only with Airtel 4G” was false and misleading. Atria Convergence Technologies Pvt Ltd (Act Fibernet): The claim in the advertisement, “Unlimited 5 Mbps and 20 Mpbs starting at Rs650”, was not substantiated and was found misleading by ambiguity and omission of a qualifier stating that Rs650 is only for the package offering data transfer at 5 Mbps. Bharti Softbank Ltd (Hike Messenger): The claims in the advertisement, “Five times faster” and “10 new features”, were not substantiated. Bookmyoffer.com: The claim/combo offer in the advertisement “a Sandisk ultra micro SDHC USH-1 16 GB memory card, Samsung data cable and Sony earphone for just Rs.199 All 3 (pack)”, was false and misleading. Flipkart Internet Pvt Ltd (Tek-Tron Velroc Safety Outdoor Shoes): The website communication claims the MRP of the product as Rs.599, when actually printed MRP on product is Rs.499 which is being offered as the discounted price. This distorts facts and is therefore misleading the consumers as to actual discount being offered. Pisces eServices Pvt Ltd (Foodpanda): The advertisement’s claim offer of “Flat 50% off on every meal” was misleading by ambiguity and omission that the claim is valid under certain conditions. CouponsCenter (Makemytrip trippy Tuesdays Offer): The advertised claim offer of “Flat Rs.1200 off on Domestic Flights” was not substantiated. Flipkart Internet Pvt Ltd: The claim in the mailer, “Research shows that beautiful women are more successful in their lives”, was not substantiated. Godaddy.com (terradynecorp.com – promotional offer): It was concluded that in the website advertisement the offer for two year registration was not false. However, there was a discrepancy of an additional charge of Rs40 that was not accounted for. The advertisement was considered to be misleading by omission of mention of this additional charge. Bennett Coleman & Co Ltd (Alive App): The claim in the advertisement, “Download Alive app and get a free recharge Rs. 50 Recharge from Paytm”, was false and misleading. HT Media Ltd (Shine.com): The claims in the advertisement states, “Shine.com has max more traffic than Monsterindia.com. That means a better candidate database”, were found to be misleading by implication and omission. Also, the image of a monster mascot shown when read in conjunction with the advertisement headline, “Say Bye to the monster of limited database”, was seen as unfairly denigrating the competitor’s site. Odisha Television Ltd (Tarang): The advertisement’s claim, “Yours No-1 choice”, did not have a disclaimer qualifying the source and date of research for the claim. In addition the claim, “Tarang moves ahead of all programmes that are getting telecast in any TV channel in Orissa”, was not substantiated with comparative data of other competitor channels in the same category. Also, the claim was misleading as the advertisement shows comparison only between Tarang and Sarthak. Sarthak Entertainment Pvt. Ltd. (Sarthak TV): The claims in the advertisement, “Digahara (directionless), Bhramatmaka (misleading), Hasyaspada (Funny)”, were not substantiated. Also, the advertisement is considered derogatory to competitor channel. Sandesh Ltd (Sandesh News): The claim in the advertisement, “Sandesh News is No.1 Gujarati news channel”, was not substantiated. Also, the source and date of research for the claim was not mentioned in the advertisement. Bloomberg TV India: The advertisements claims, “The market opens with Bloomberg TV India. The No.1 market opening show 9 a.m. – Street Smart Dealing Room. Factual. First. Fastest. Final. Future’, “When it comes to business and markets programming, Bloomberg TV India is the channel of choice”, “The most preferred destination for business and markets content. No. 1. 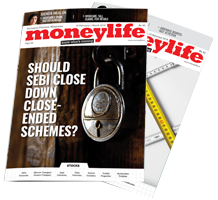 Bloomberg TV India leads with 43% market share in the English Business News genre”. It was concluded that for all the three advertisements, the period of comparison for the claims in the advertisement was not adequate i.e. over at least four consecutive weeks. The audience definition chosen by the advertiser violates the principle that the subject matter of comparison is not chosen in such a way as to confer an artificial advantage upon the advertiser or so as to suggest that a better bargain is offered than is truly the case. In addition, the claims of “First. Fastest” calibrate size and speed of news delivery. They cannot merely be treated as 'Puffery' as no evidence had been provided to substantiate these claims. K Raheja Corp. (Shoppers Stop): The claim in the advertisement, “Shoppers Stop is proud to be ranked 25th in The Great Places To Work study 2015”, was not substantiated and is misleading. HDFC Bank Ltd. (Two-Wheeler Loan Offer): The claim in the advertisement, “Loan approval in 15 minutes”, was not substantiated. Also, the claim, “Only KYC required to avail a loan”, is misleading as other documents are also required to be submitted to avail the loan facility and the Terms and Conditions in the advertisement cannot over-ride the claim in the advertisement. Home Town: The claim offer of “Flat 60% off* on everything”, is misleading by implication regardless of the disclaimer , as it mentions the words "Flat" and "on everything". Max Bupa Health Insurance Co Ltd (Max Bupa Health): The fine print in the advertisement states “....Max Bupa processes pre-auth within 30 minutes for all active policies subject to receiving all documents and information(s) up to Max Bupa’s satisfaction…..”. The keyword is “processes” and not “approval”. The advertisement does not specify about the documents needed from provider (hospital, nursing home) and that there is dependency on hospital/nursing home to act fast. Advertiser did not provide evidence that they have adhered to their timelines of “cashless approval within 30 minutes” with data of few of their customers. Thus, the claim in the advertisement, “Cashless approval in 30 minutes”, was not substantiated and was misleading by omission. Kerala Fashion Jewellery: The celebrity (Prakash Raj) in the advertisement, saying that “having daughters of marriageable age is tension for parents”, derides gender and is derogatory for a girl child. Jaguar Group (Jaguar bathroom fittings): The claim in the advertisement, "India's most trusted bath fitting brand", is not substantiated for the brand based on the latest market scenario and is misleading by omission of a qualifier that the claim is based on 2013 data. Also, the source and date of research for the claim is not mentioned in the advertisement. Philips Electronics India Ltd (Philips modular switches): The scene in the TVC showing “spraying of liquid on the switches” shows a dangerous practice which is likely to encourage minors to emulate such acts in a manner which could cause harm or injury. Shree Sant Kripa Appliances Pvt Ltd (Syska Gadget Secure): The claim offer in the TVC, “Syska LED - if broken free replacement, if stolen free replacement, if found defective free replacement”, was not substantiated with evidence whether any customers have availed this offer. In addition, the generic disclaimer “Conditions apply” would be acceptable for the claim if there was data to prove that customers are indeed able to avail the offer and there are no criteria that would make this offer improbable. Also, the Supers in the TVC were not legible and were not in the same language as the voiceover of the TVC. Goyal of Group Companies (Housing project): The Housing project termed as "bharatiya jan ghar yojana", was found misleading by implication that it is backed and supported by Government. Khosla Electronics (Special offer for Nikon Dual Kit camera): The claim, “offer price of Rs.27990/- of Nikon Dual Kit camera” in the advertisement was false and misleading. ADL Blastek Industries: The pictures in the advertisement of the machines shown were not original as they were not manufactured by the advertiser. In absence of a disclaimer, this was seen as a misrepresentation of facts which is likely to mislead the consumers. Automotive Exchange Pvt. Ltd (CarWale): The blood transfusion scene in the advertisement wherein a doctor suggests using incompatible blood type, “Blood mein itna unees bees chalta hai”, shows a dangerous practice without justifiable reason. Iberry India (Iberry Auxus Beast): The claim in the advertisement, “Iberry Auxus Beast is indeed a beast with its superior toughened glass technology”, the test demo video claim, “Notice the impact of the hammer hit on the screen but the screen is still intact”, was not substantiated with any lab test report (either of the advertiser’s own testing or independent lab test). The test demo video was not considered authentic. Kamdhenu Ispat Ltd (Kamdhenu SS 10000): The claim in the advertisement, “double grip makes it double strong with concrete”, was misleading by omission of a disclaimer to indicate that the comparison is versus a plain bar. Also the claim, “100% resistance to earthquakes”, was not substantiated. Zoom Car India Pvt Ltd (Zoom Car): The voiceover in the advertisement, “dahej mein layi hogi”, and the phrase “what luck”, by implication, encourages dowry and is in violation of The Dowry Prohibition Act, 1961. Fake reviews flood the Internet. 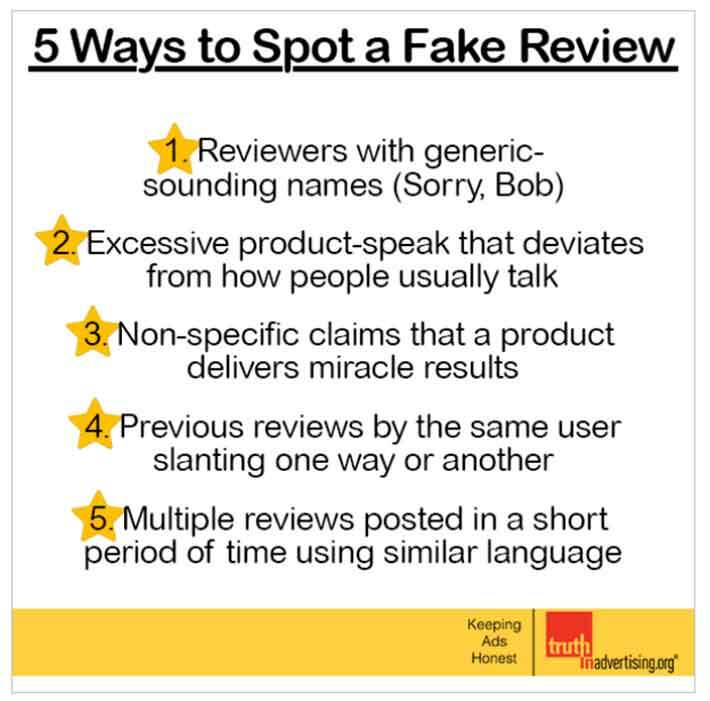 By some accounts, as many as one in three reviews posted online are bogus, placed there by someone paid to either praise one product or disparage another. Amazon, for its part, is fighting back. After suing several websites selling positive reviews, the largest online retailer from the US has filed a lawsuit against writers, alleging they were selling glowing reviews for products they hadn’t even tried and demanding that these hired guns cease their masquerade. The Madras High Court directed United India Insurance Company to reimburse the treatment expenses of Rs44,581.00 with 9% interest to a petitioner, S Dhanalakshmi, who got her baby admitted to a non-network hospital due to an emergency. The petitioner had joined the health insurance scheme in 2012 and was subscribing to it regularly. Justice R Subbiah said that the HC had already advised that a person’s claim should be considered on the satisfactory reason that they were unable to get treated in a network hospital, but had been advised to go to a non-network hospital. In this case, Ms Dhanalakshmi’s son had vomited and she was under the impression it was just food poisoning. But his condition worsened and she had taken the child to a nearby hospital, where doctors diagnosed it as obstructed hernia and recommended that he should be operated immediately. On their advice, her son had undergone emergency surgery. The petitioner had obtained the necessary certification, of being a genuine case, from the state health authorities. Hence, the insurance firm could not reject her claim on the ground that treatment was done in a non-network hospital, the judge said.